Well the cross stitch on boxers is DONE!!! Now just the back stitching left! I did have to do a little tiny bit of frogging when I realised that I had put the wrong colour in a couple of days ago... fun stuff! But it all worked out. and as a reward for finishing that much I worked on afternoon tea. It's not really much but it's getting bigger and the whole corner is now filled in. I love the colours in this border. I have put in various shades of brown with some redish and some greenish. there was an almost crimson red and a lime green. There are also 2 dots of pink. In the lower part of the border there is a gorgeous rich purple it was just so exciting to put in. The colours really make this pop. So much exciting stitching but I am now going to have an afternoon nap. I desperately need a sleep! Cute puppies! Congrats on all the progress! 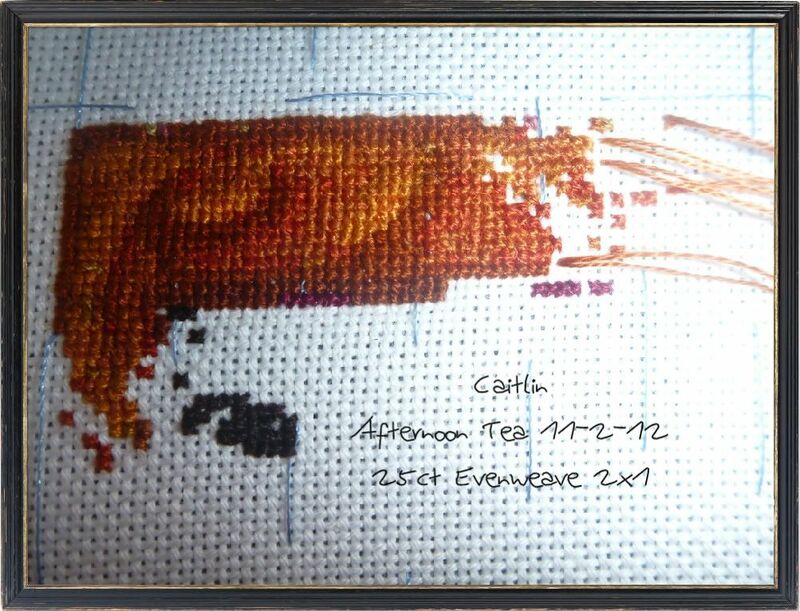 Congrats on reaching a stitching milestone with your project, finishing th xs Looking forward to your HD now!! Boxers looks great. Grats on the almost finish. And good job on Afternoon Tea. It's gonna be beautiful when finished!! Hi Mangogirl,the Boxers are so cute,good luck with the bs. Look forward to seeing the up dates of Afternoon Tea.If i was ever tempted to do an H&E Design,it would have to be one of Randal Spanglers's. 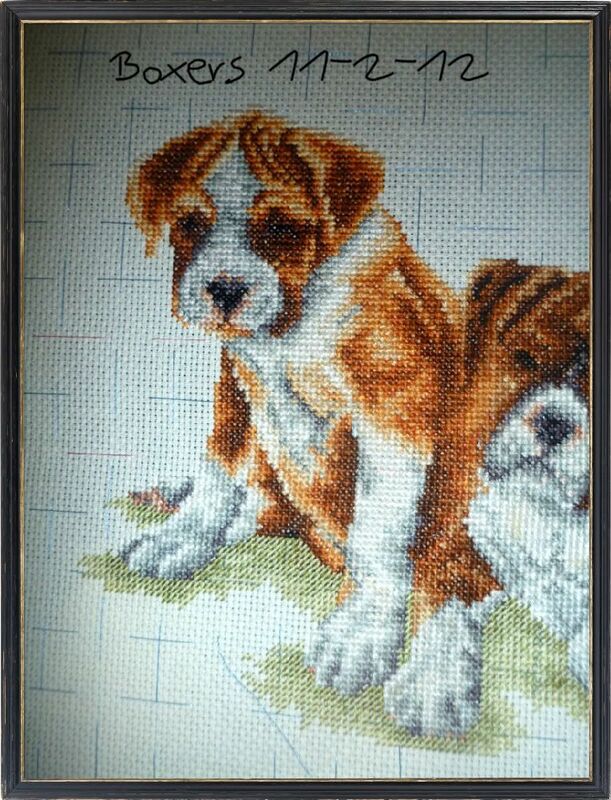 Being the Mum to two boxers I have followed this project with great interest and adore it. 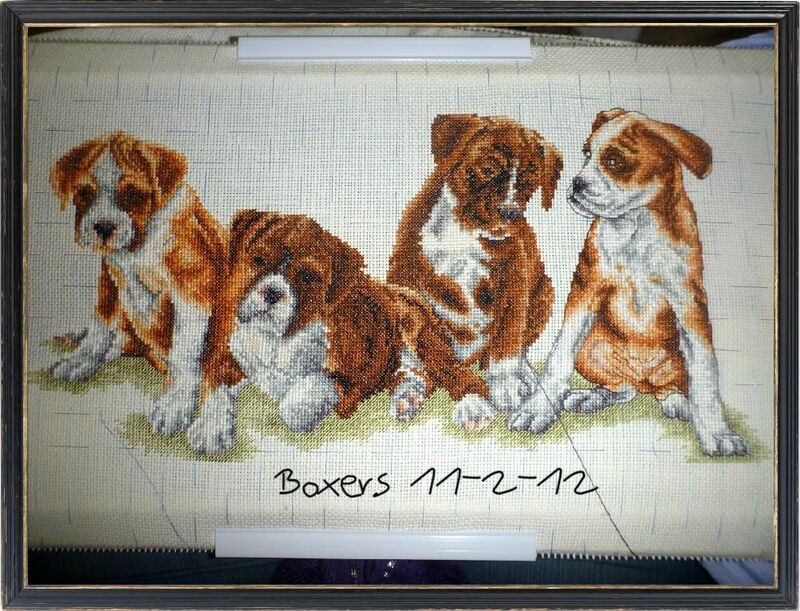 The boxers looks fantastic...even without the backstitching! Yay Caitlin! You're almost there! :) Looking great! 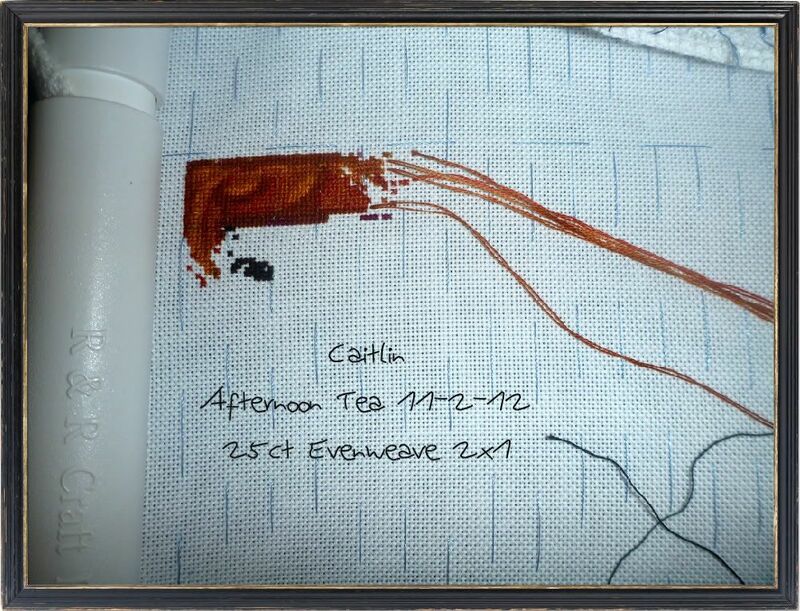 And Afternoon Tea is going to be so great, too! It's already looking vibrant.